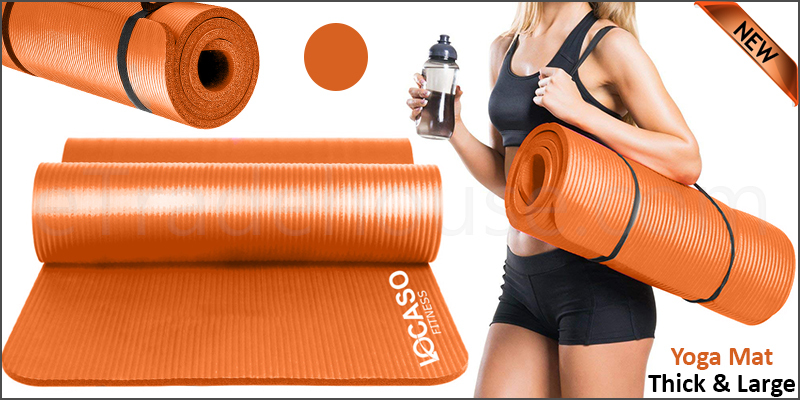 Improve your health, fitness and wellbeing with these thick, cushioned exercise mats perfect for Yoga, Gymnastics, Pilates, Stretching, Abdominal Exercises and General Workouts. Made from Premium Quality Latex-Free, Phthalate-Free NBR foam, these padded workout mats are specially designed to provide optimal comfort and support during your exercise routines. Suitable for both indoor and outdoor use, these durable yoga mats are easy to set up, quick to unroll and most importantly, stay flat on the floor with no curling of the edges. A convenient strap holder is also included to ensure your mat is kept tightly wrapped up, which combined with the lightweight design of the mat, makes storage and transport much easier.